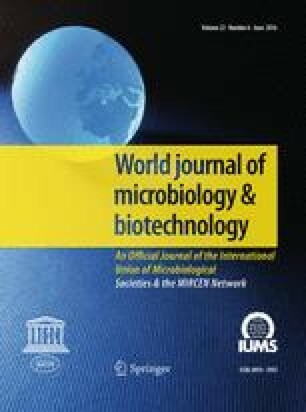 The distribution of pathogenic vibrios and other bacteria in eight samples of imported frozen shrimps and the effect of irradiation on these bacteria were investigated. Total aerobic bacteria were at 2×104 to 4×106/g. Coliforms consisted mainly ofEnterobacter. No salmonella were detected. A total of 66 isolates, includingVibrio parahaemolyticus, V. mimicus, V. alginolyticus, V. vulnificus, V. fluvialis and a few ofListeria monocytogenes, were obtained. The gamma-radiation dose needed to reduce by 10−4 the number of vibrio isolates andAeromonas hydrophila was about 3 kGy in frozen shrimps, whereas about 3.5 kGy was required forL. monocytogenes.